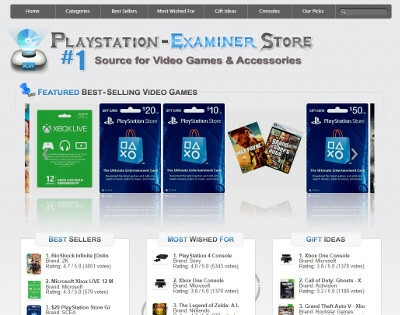 Diane, the owner of Playstation Examiners Store, contacted us a few weeks back asking about some updates she needed on her website. After a few weeks, she contacted us back saying another individual was not able to complete the requested changes on her website. Diane runs a website which interfaces with Amazon Web Services to pull a set of products that are then displayed on her website. The goal is to then get customers/visitors to her site and to click through those links, which then goes over to Amazon. Each time that someone purchases something from Amazon using a link from her site, she then makes a commission on that sale. Unfortunately, there was an “update” routine that was to run in the background in order to update and refresh the products from Amazon’s site automatically, but this wasn’t occurring. After understand what needed done, we got to work right away and fixed the problem quickly. There were some configuration issues with her site that prevented it from connecting to Amazon properly to download that information. In addition, a “cron job” also needed setup so that a script would be run every hour to look for updates. We appreciate the business from Diane! 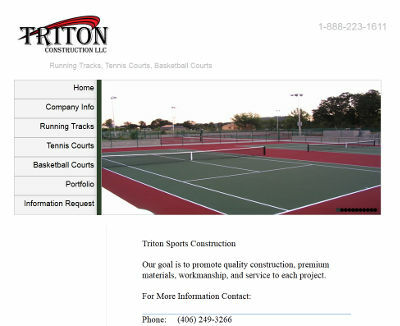 Ben, the owner of Triton Track & Tennis, contacted us this week asking about search engine optimization (SEO) services. He was looking to see what could be done about increasing his presence in the search engines. We explained several different options that were available – including pay per click (PPC) advertising, but in the end, he chose our basic SEO package to start. Currently, his site does not rank within the top 200 results for the keywords he wanted to target. Once the SEO work is done (it takes about a month), we will then provide him an updated report to show how his ranking has increased. Ben also chose us to create the website for his business about a year ago and asks us to make changes and provide other services from time-to-time. His website is at triton-trackandtennis.com. 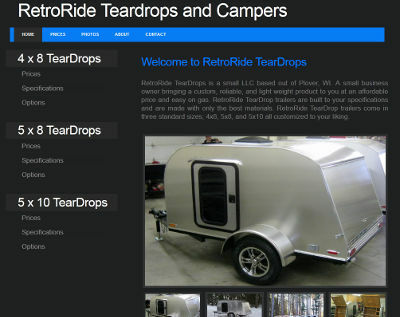 Blake, the owner of Retro Ride Teardrops, contacted us a while ago inquiring about search engine optimization (SEO) services. He wanted to know how SEO worked, what could be done, and the various options involved with SEO. Originally, Blake also wanted us to make some changes to his website that was prevoiusly done by another individual. 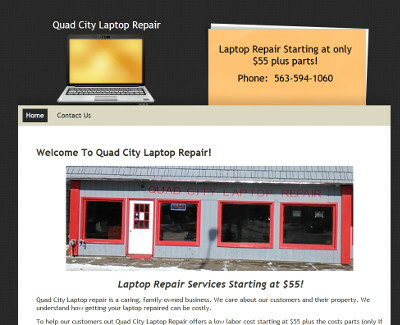 He noted that the text on his website was very small and hard to read – and wanted us to correct this. However, he was able to connect with his designer to have those issues corrected. Blake chose our basic SEO package to see what results we can provide. For the keywords he chose, his website wasn’t anywhere in the top 200 results. SEO work is now ongoing for Blake and we will provide a report to show him the improvement of his rankings and see if he wants to continue with the services afterwards. Blake’s website is at retrorideteardrops.com. Jonathan from Turner Family Dental contacted us several months ago in need of a logo design. After they got their practice fully setup and ready, they got in touch with us last week to proceed with the logo design. Jonathan chose our “vectored”, print-ready logo design service so that they could use the logo on any kind of media – including posters, flyers, vehicle decals, apparel, and other media. Our graphic designer provided a few mock-up designs for their review and they were pleased with the quick turn-around time for the logo work. We appreciate the ability to serve Turner Family Dental with their logo design needs! 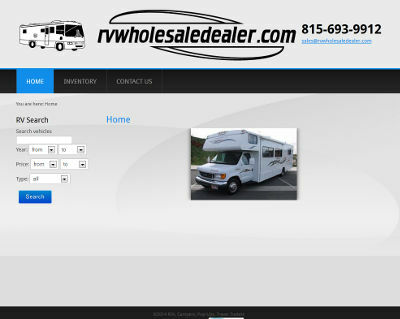 Allen contacted us a few weeks back to create a generic website for him to list and sell a range of RVs, campers, travel trailers, and other camping vehicles. While deciding to have us create the website, he also requested that we create a logo for his website as well. Allen chose to have us create a simple, “raster” logo that works well for websites and small print media such as business cards. 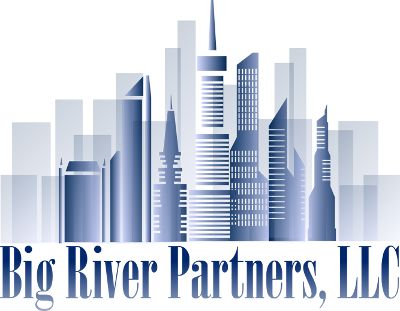 These logos are different than our print-ready, “vector” logo design and also less costly. Our graphic designer went to work to create a logo design for RV Wholesale Dealer and provided several different mock-up designs to Allen. In the end, Allen chose to go with the logo that is displayed here. Thank you for the ability to create a logo for you, Allen!